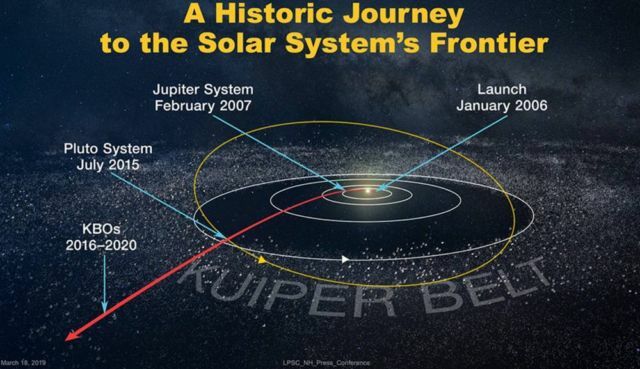 Ultima Thule, the Kuiper Belt object NASA’s New Horizons spacecraft flew past on New Year’s Day, four billion miles from Earth. 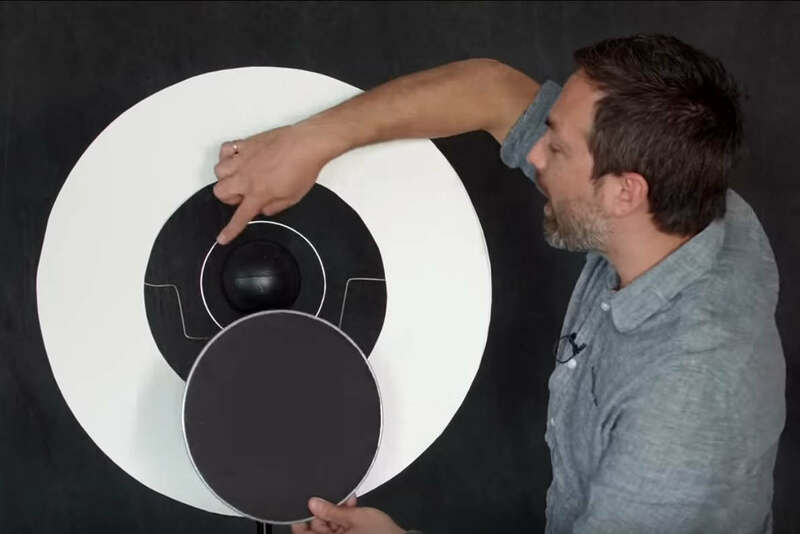 Analyzing the data New Horizons has been sending home since the flyby of Ultima Thule (officially named 2014 MU69), mission scientists are learning more about the development, geology and composition of this ancient relic of solar system formation. 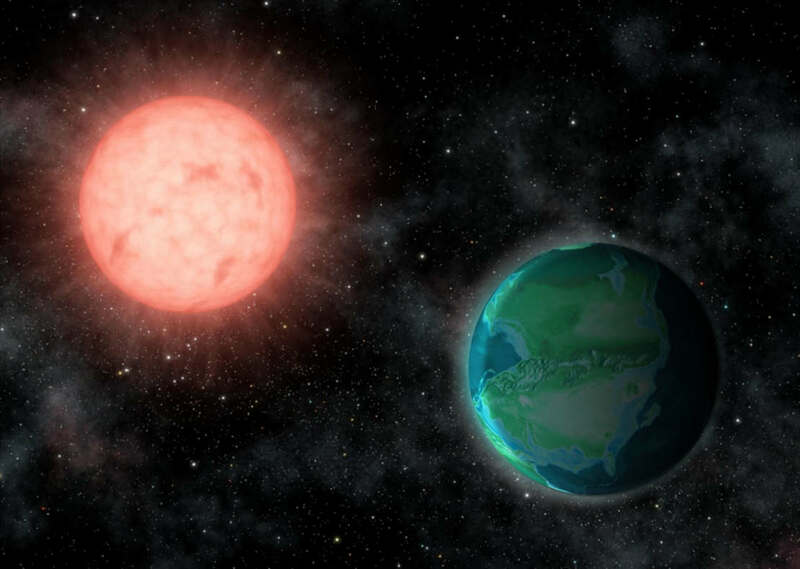 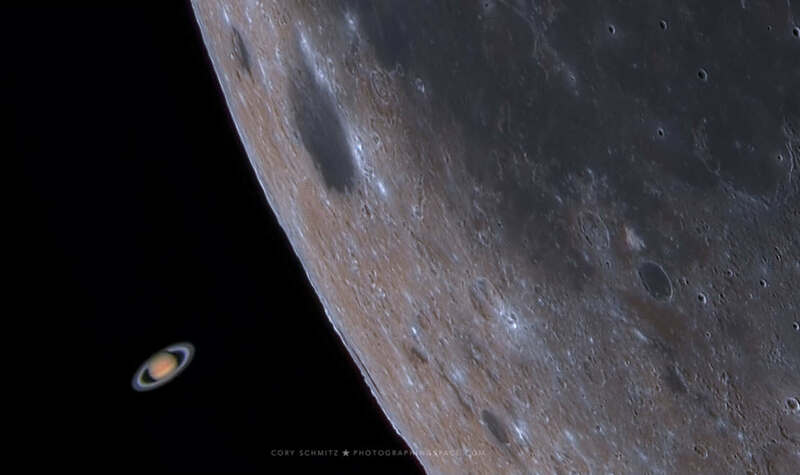 The team discussed those findings today at the 50th Lunar and Planetary Science Conference in The Woodlands, Texas. 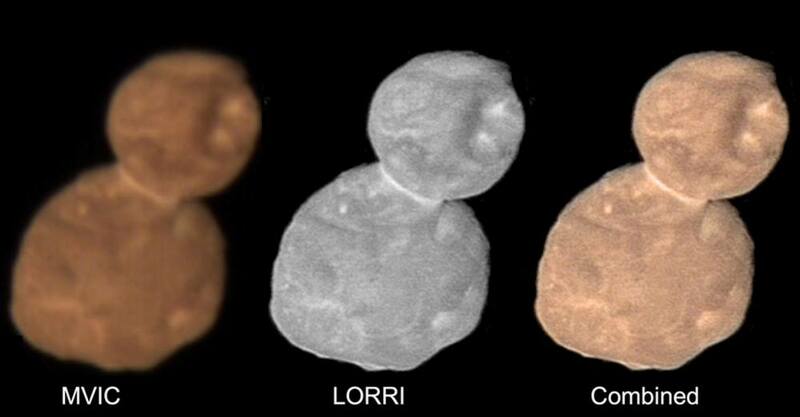 Ultima Thule is the first unquestionably primordial contact binary ever explored. 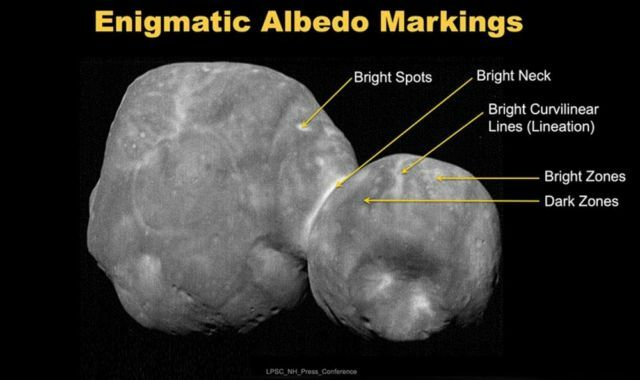 Approach pictures of Ultima Thule hinted at a strange, snowman-like shape for the binary, but further analysis of images, taken near closest approach – New Horizons came to within just 2,200 miles (3,500 kilometers) – have uncovered just how unusual the KBO’s shape really is. 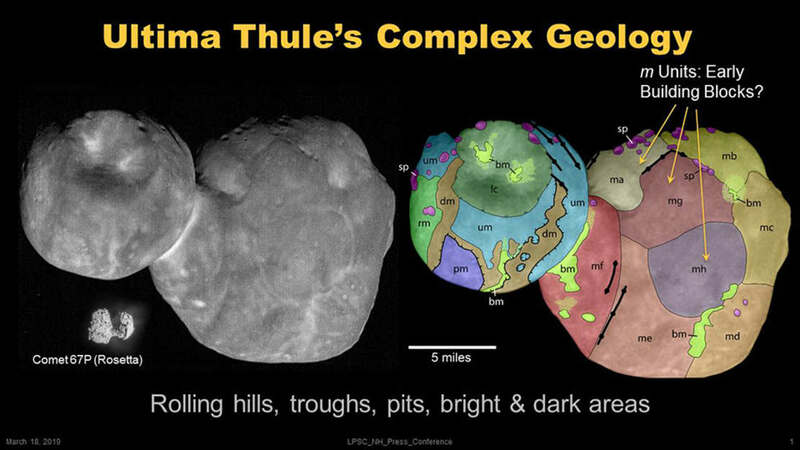 At 22 miles (35 kilometers) long, Ultima Thule consists of a large, flat lobe (nicknamed “Ultima”) connected to a smaller, rounder lobe (nicknamed “Thule”). This strange shape is the biggest surprise, so far, of the flyby.